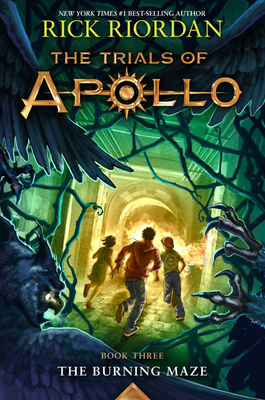 With the help of some demigod friends, Lester managed to survive his first two trials, one at Camp Half-Blood, and one in Indianapolis, where Meg received the Dark Prophecy. The words she uttered while seated on the Throne of Memory revealed that an evil triumvirate of Roman emperors plans to attack Camp Jupiter. While Leo flies ahead on Festus to warn the Roman camp, Lester and Meg must go through the Labyrinth to find the third emperor--and an Oracle who speaks in word puzzles--somewhere in the American Southwest. There is one glimmer of hope in the gloom-filled prophecy: The cloven guide alone the way does know. They will have a satyr companion, and Meg knows just who to call upon. . . .